JUST SOLD in Victoria Village. Sold for $430,000 1247 Bobwhite Ct in Ventura CA. This property was Co-Listed by David Tovar and Lorenzo Castillo of Exit Castillo Realty and SOLD on December 30, 2015. 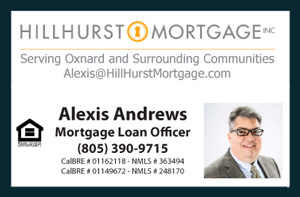 For similar results please contact David at (805) 444-6366 and Lorenzo at (805) 479-2569. Victoria Village Single Family Home located in the heart of Ventura. Boasting a custom wooden deck for great outdoor family entertainment. Featuring newer double pane windows and a newer roof. The house has an open floor plan with an affordable HOA that provides private access to a pool, tennis court and more. Conveniently located just a few blocks from Montalvo Marketplace and the 101 Freeway. This home requires very little maintenance and is perfectly situated on a cul-de-sac for maximum privacy. A must see to appreciate home! The Montalvo Square market center is walking distance from 1247 Bobwhite Ct Home for Sale in Ventura. This marketplace has many great restaurants, coffee shops, grocery stores and more. These are only a few of the brand stores you will find: Trader Joe's, Coffee Bean, Ralphs and LA Fitness. Montalvo Square is off Victoria Ave between Ralston St and Moon Dr. Victoria Ave is one of the main roads in the city of Ventura that links to the 101 Freeway.